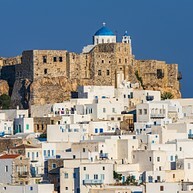 Few Greek islands boast an immaculacy comparable to that of Astypalaia - a butterfly-shaped cloistral haven rising from the stunning blue of the Aegean Sea. Captured at certain angles, Astypalaia bears a striking semblance to its not-so-distant yet far more glamorised cousin of Santorini. With its pristine beaches, whitewashed houses, and uncharted walking paths, the island is an explorer's heaven, and a find for those looking to escape the madding crowds of summer vacationers. Opening hours: Working hours vary depending on the business, and are very flexible during the summer. Shops usually work 9am-3pm on Mon & Wed, and 9am-2pm & 5.30pm-9pm on Tue, Thurs, and Fri. On Saturdays, some stores open from 9am to 3pm. Some local businesses close during low season. 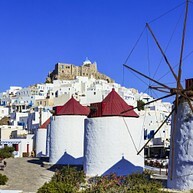 Tourist information: One of the eight windmills in Chora is where the Municipality's tourist information office is located. There is plenty to do and see in and around the island. Those who dare venture out of the island's attractive, well-groomed Chora will be duly rewarded with nature trails, secluded coves and beaches, remains of ancient structures, and a rare sense of discovery in virgin lands. Heading even further out, smaller islands very close to Astypalaia are perfectly reachable by boat (tours are offered throughout, especially during high season). A mere kilometer south of Chora lies the village of Pera Gialos, which used to be the island's main port. Today it boasts a relatively well-developed tourist infrastructure and a charming beach, ideal for a refreshing swim. 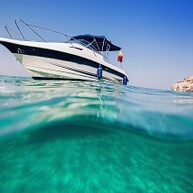 Boat tours run from here to nearby sites and other beaches. The scenic hilltop Venetian castle in the island's Hora is certainly worth the climb - although little remains of the castle itself, views that uncover from here are simply spectacular, with an avalanche of whitewashed houses leading down to the cerulean waters of the Aegean. Drakos Cave, or "cave of the dragon" is a natural cave bedecked with stalactites and stalagmites in the island's north (not far from the village of Vathi). The color of these whimsical rock formations changes depending on the mineral content of the water, which makes each visit unlike the other. The compact yet informative archaeological museum of Astypalaia provides visitors with a brief overview of the rare finds made on the island. Exhibits include jewellery, tools, ceramics, and other items dating back to the prehistoric period all the way through to Medieval times. Perched on top of a scenic hill right beneath the Venetian castle in the island's Chora, the Panagia Portaitissa church embodies the iconic Greek white-with-a-blue-dome, postcard-ready look that dominates photographs coming from this part of the world. The structure dates back to the 18th century. 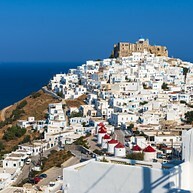 The seaside resort of Maltezana (named after Maltese pirates who used the island as their hideaway) is where many of vacationers to Astypalaia choose to stay. 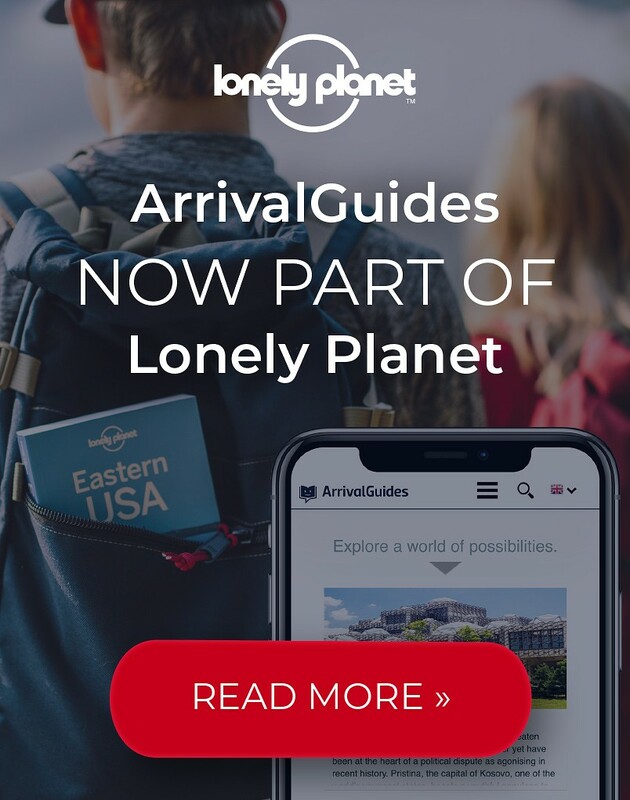 Some of the must-see attractions include the Hellenic Talaras Baths, ruins of an early-Christian basilica, and the ancient Analipsi church. Take a guided boat tour and be led to some of the island's most secluded, lesser-known beaches (multiple tours are offered in Chora). The islands of Koutsomyti and Syrna are some of the possible destinations in the vicinity. The island offers a plethora of hiking trails, paths that are best walked outside of the hottest summer months when the sun is ablaze. Enthusiasts may thoroughly enjoy hiking up the “Ftera” terrain, with 20 different climbing routes to choose from. A mere two kilometers outside of Chora lies the small village of Livadia, set directly by the seaside in a valley where citrus groves border on lush vineyards. Not to be missed in the vicinity are the Negros Cave in Vatses (reachabale by boat from Chora) and the Agios Vasileios hilltop ruins.